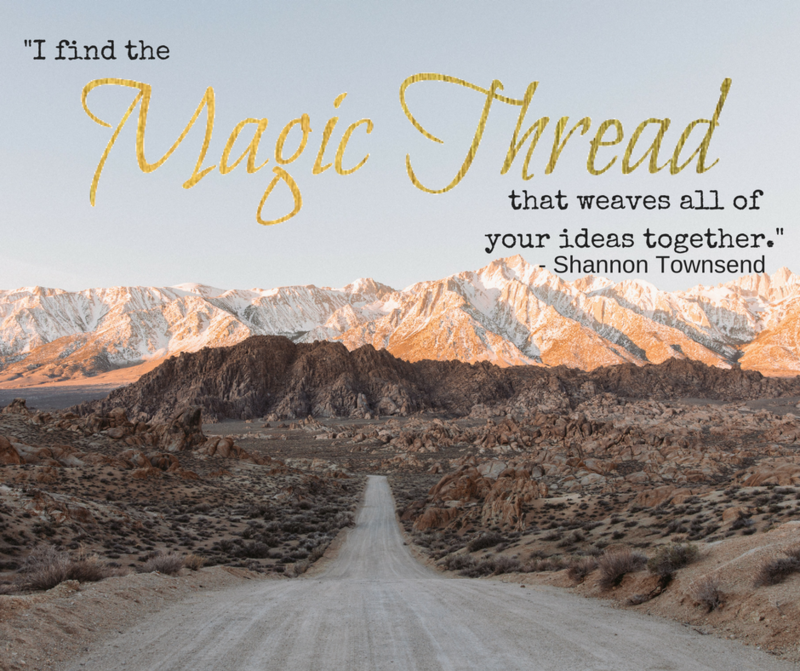 It’s time for you to find the thread that weaves all of your (seemingly scattered) ideas together. We can no longer afford to have YOUR vision murky and disjointed, WE desperately need it to be crystal clear where everything in your business fits – so that – we can thrive. You’re ready to see the first Magic Thread that’s been lurking in the shadows, just waiting for you to find it and run. It’s time for that Magic Thread to shine, so people can grab hold and follow it to YOUR GENIUS. To YOUR passion. You’re ready to unleash Your Own Brand of Magic into the world. It doesn’t matter if you do Tarot, Astrology, make baby diapers, run weddings, desperately clean like Monica in strangers home (not so secretly loving it), or spin yarn. You have a Magic Thread that makes it easy for clients to line up in droves, if only you’d find it, dust it off, and let it shine. I’m here to show you the clear path your Magic Thread has been trying to get you to see since the first spark of inspiration. Show up with every idea you’ve got and I’ll show you the Magic Thread, in 20 minutes. It’s time to light it up and get your first (of many) Magic Threads up and running.